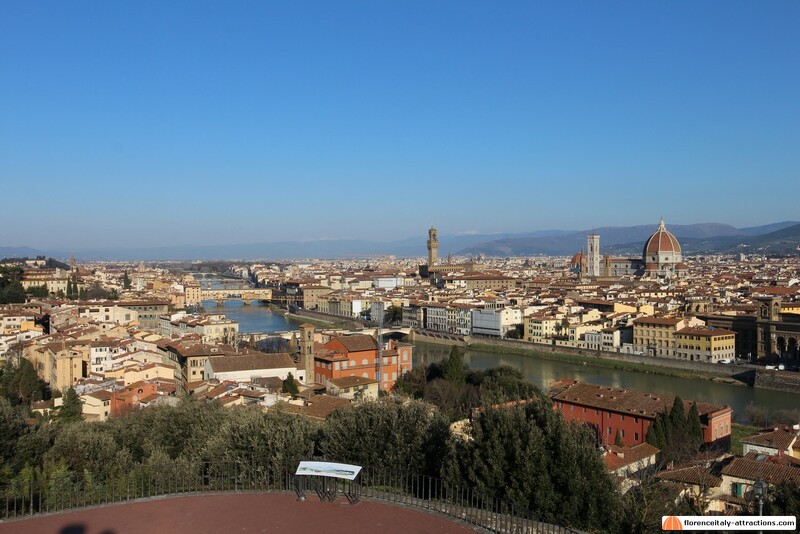 Probably more than 90% of the wallpapers representing Florence have been made using pics taken from Piazzale Michelangelo. 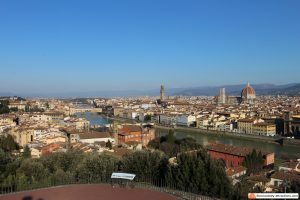 Florentine people refer to Piazzale Michelangelo simply as “il Piazzale”. 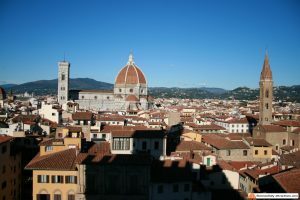 It’s a beautiful terrace on the city and allows to see basically every attraction. 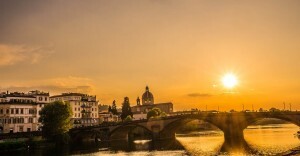 The sunset is particularly romantic at Piazzale Michelangelo, with the Sun slowly plunging in the river Arno, behind Ponte Vecchio. 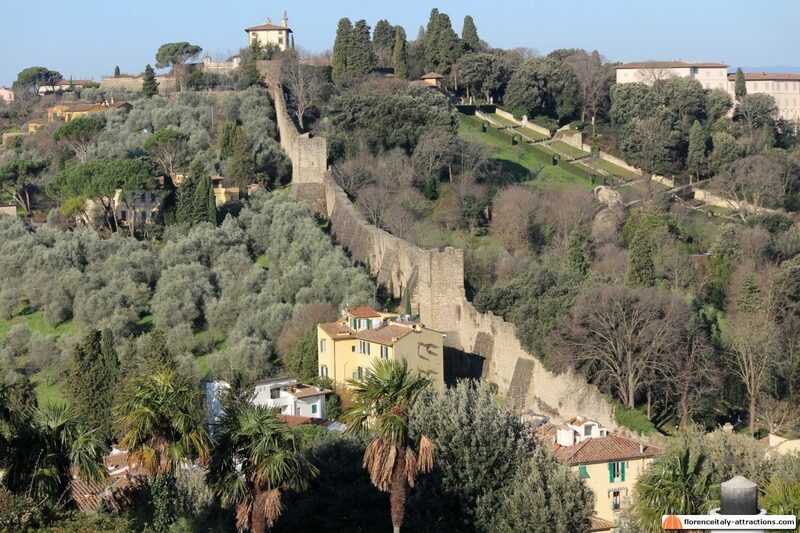 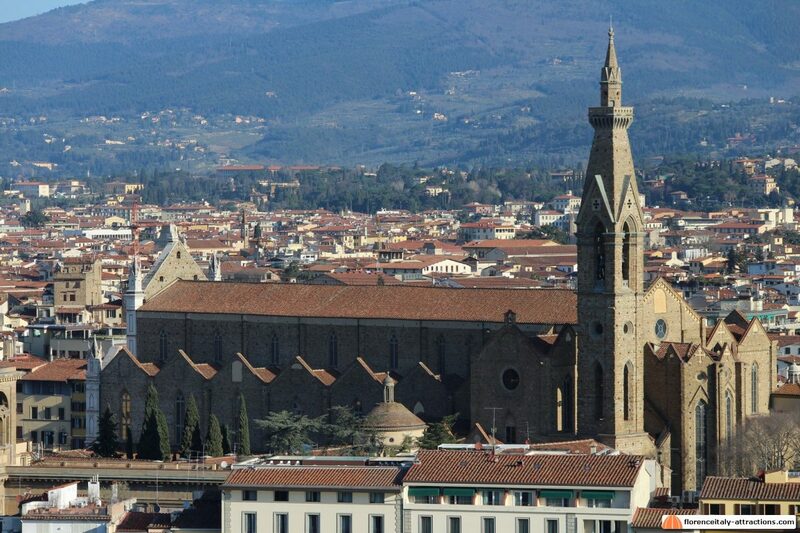 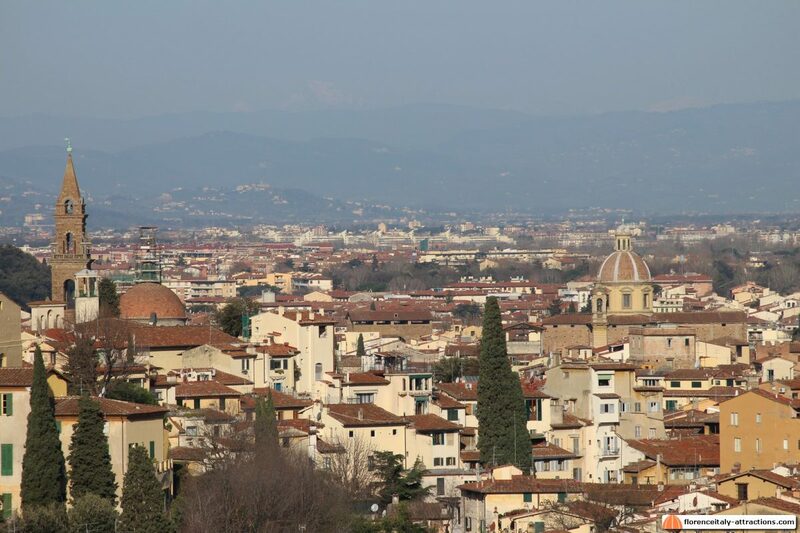 Piazzale Michelangelo is a relatively recent addition to the city of Florence. 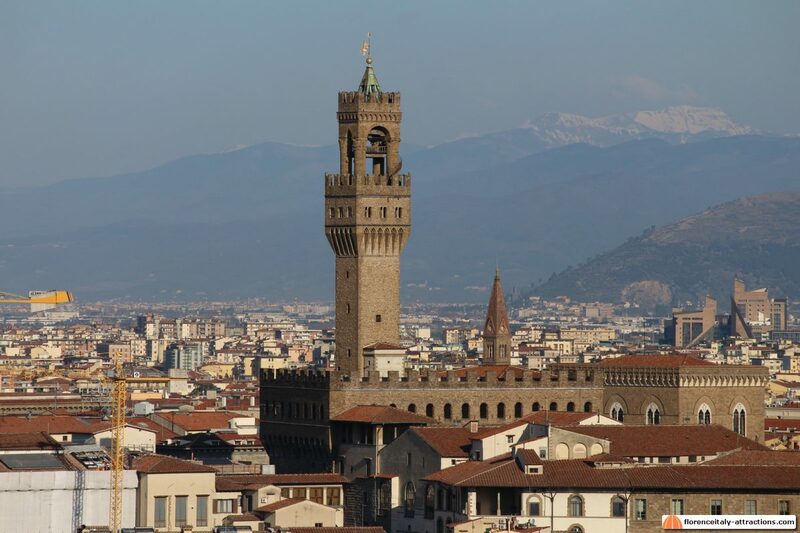 Designed in 1869 by engineer Giuseppe Poggi, the Piazzale was part of the urban revolution in the period of Florence Capital of Italy. 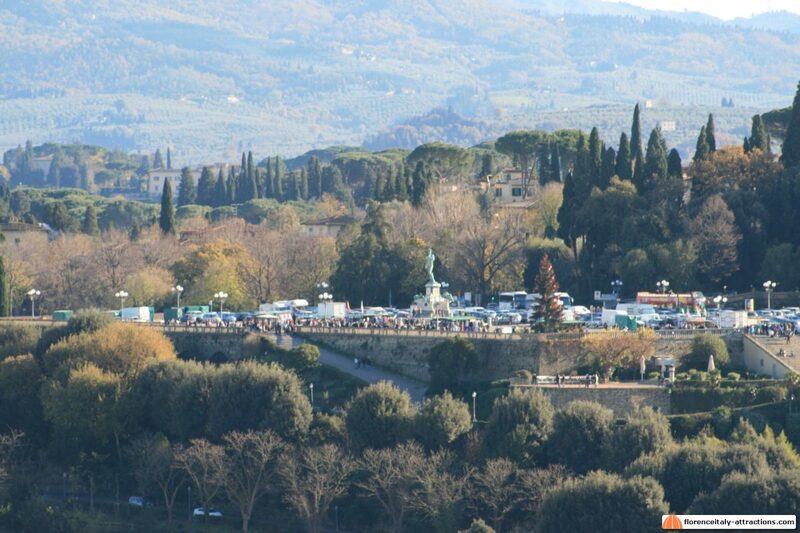 Piazzale Michelangelo is part of the “viale dei colli”, the panoramic route also designed by Poggi in the same period. 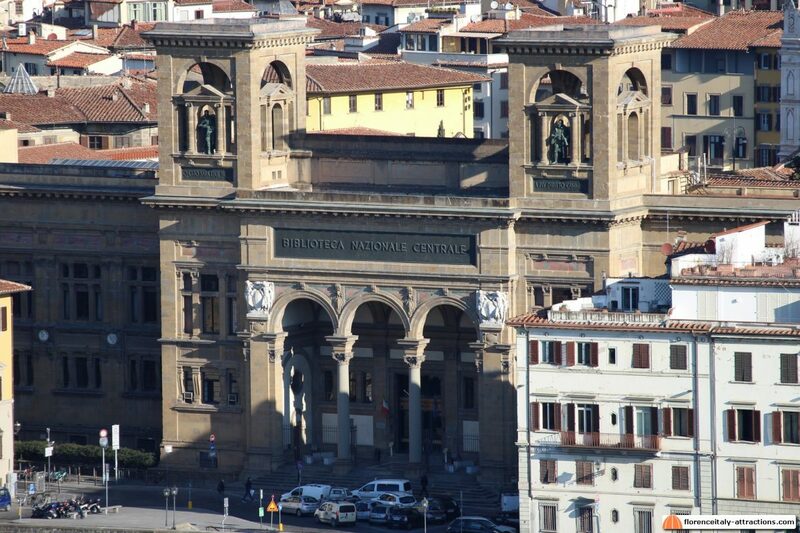 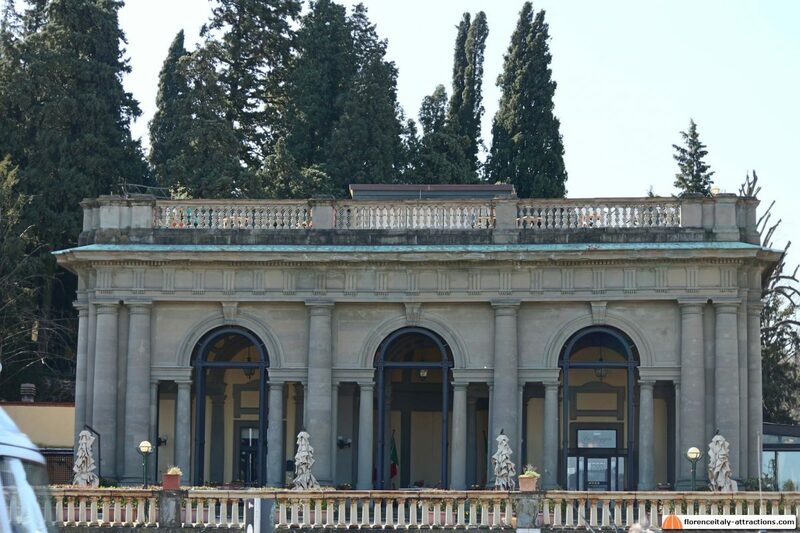 In Poggi’s project, the Piazzale was dedicated to the great artist also because the Loggia, a restaurant today, had to become a Museum of Michelangelo, containing all his works (let’s not forget that Michelangelo’s David was moved to the Accademia Gallery in 1873). 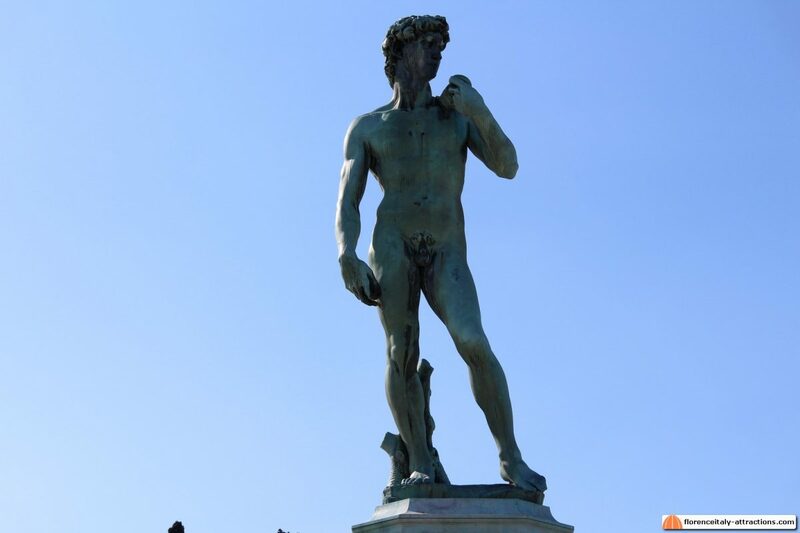 This never happened, but in the center of the square Michelangelo was honored with a bronze copy of his David. 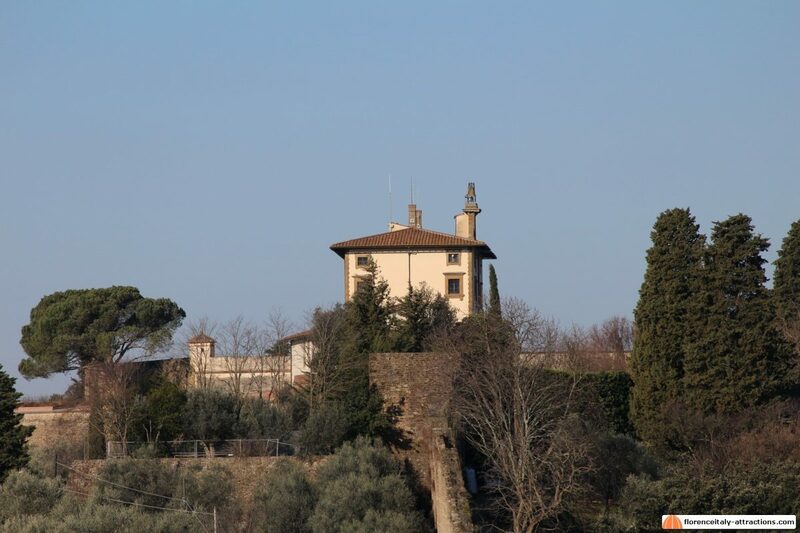 Visiting this place is a must; it’s not exactly close to the city center, but I still recommend walking there. 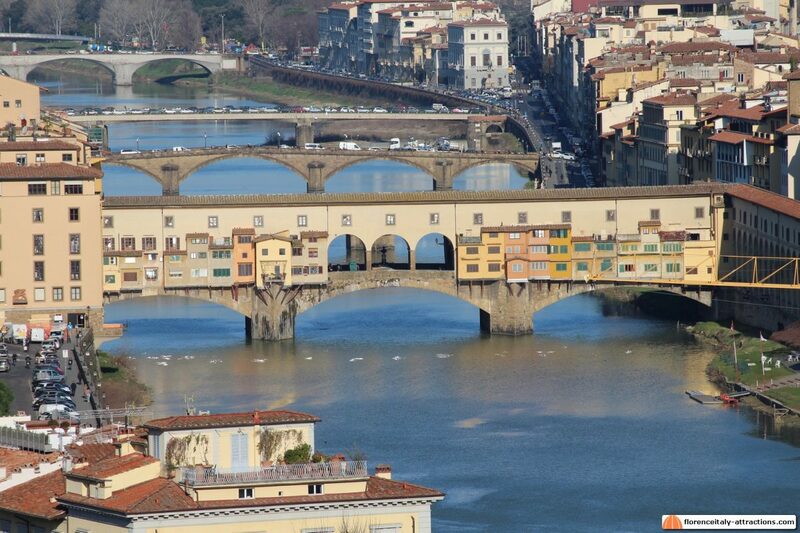 Go up the river Arno walking to East on the Southern bank and, as soon as you reach the San Niccolò tower, turn right and go upstairs. 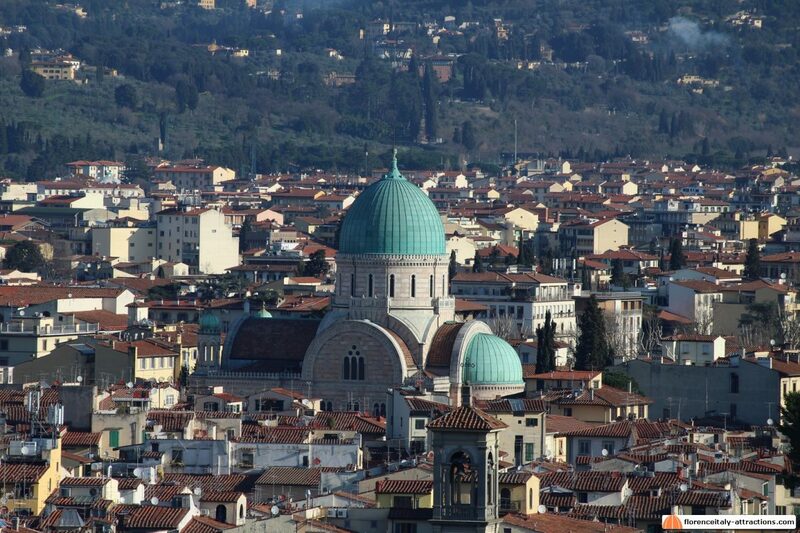 If you’re lazy, you can still take the bus number 12 from Piazza San Marco or call a taxi. 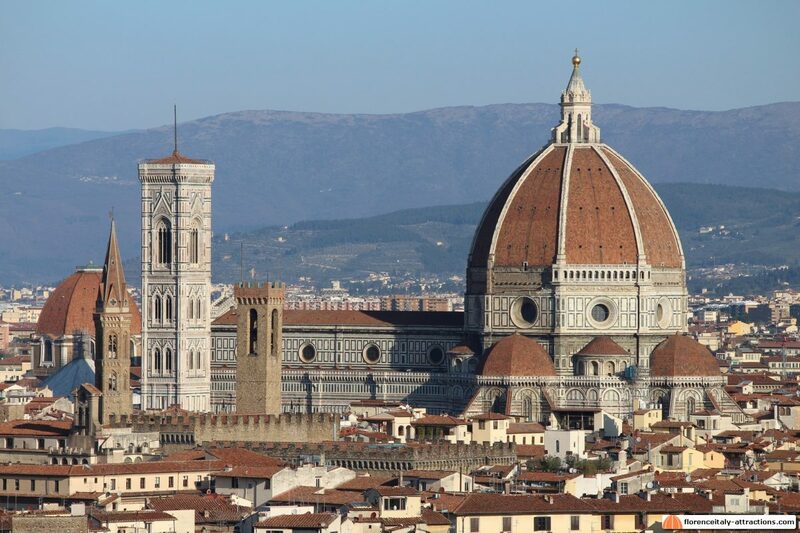 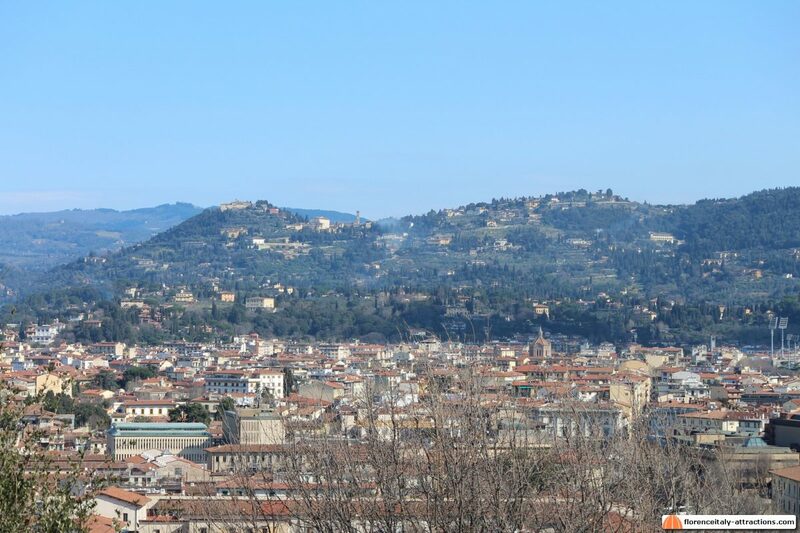 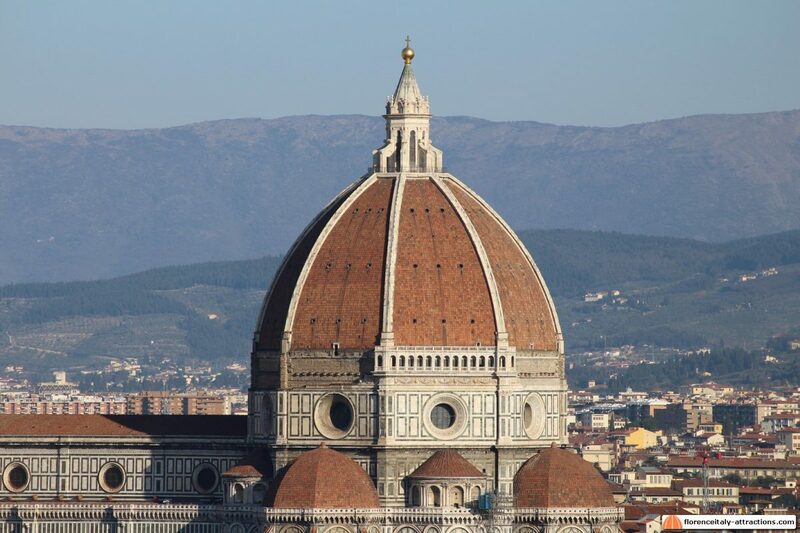 You can either go during the day, maybe adding a visit to the amazing Basilica di San Miniato al Monte, very close to Piazzale Michelangelo, or go at the sunset, enjoying an aperitivo sitting at a table on the small terrace just below the Piazzale. 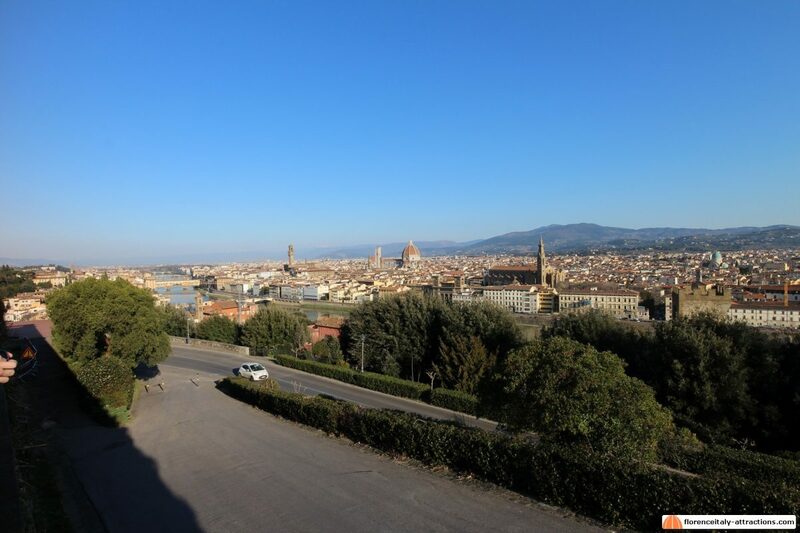 No doubt that Piazzale Michelangelo offers the best in a warm Summer night; with all the attractions illuminated, it’s a wonderful sight.